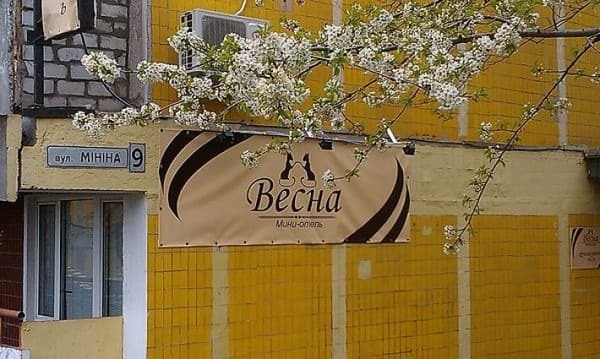 Mini-hotel "Vesna" is located in the central part of the city, near the Globy park and stadium "Dnipro Arena." The hotel is located on the first floor of the twelve-storey building. The hotel has 2 single and 6 double rooms. All rooms are equipped with TV, fridge. 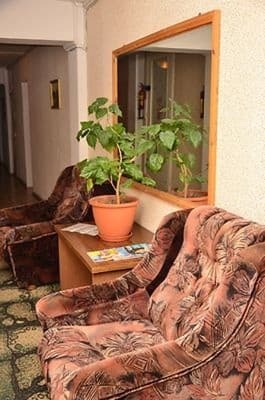 Hotel offers free Wi-Fi, guests can use the safe storage of personal belongings at the reception, microwave oven, electric kettle, hair dryer. The hotel has a bar, where you can buy snacks and drinks. In walking distance from the hotel are cafes, restaurants, supermarkets. Railway Station - 3 km. 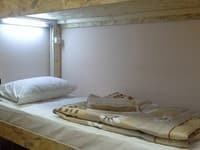 Description of the room: One room with a double bed and a sofa bed. The flooring is carpet. Description of the room: Two-room suite with two double beds and a sofa bed. The flooring is carpet. Children under 7 years stay free of charge without extra bed. From 7 to 12 years - 100 UAH with the extra bed (sofa bed). The hotel has a bar. Near the hotel there are cafes, restaurants and supermarkets. 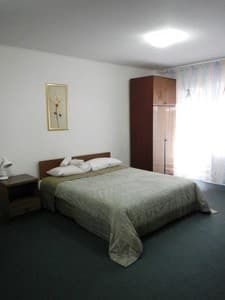 Mini-hotel "Vesna" is located in the central part of the city, near the Globy park and stadium "Dnipro Arena." From the railway station a fixed-route taxi №66. Stop "ATB".